Rajasthan, an amalgamation of different travel experiences, rich food, beautiful locales, heritage attraction! It is a true loyal state in all means. 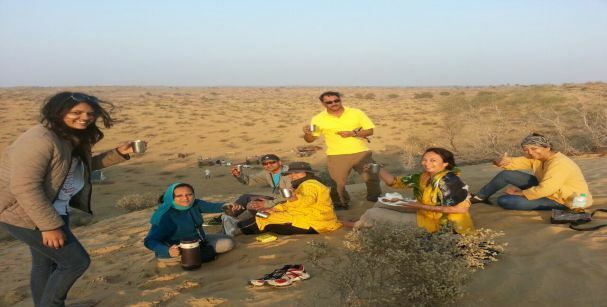 There are some stunning forts and places to explore here, a cultural tour of local villages, rugged sandy land of quintessential dessert safari, and much more. 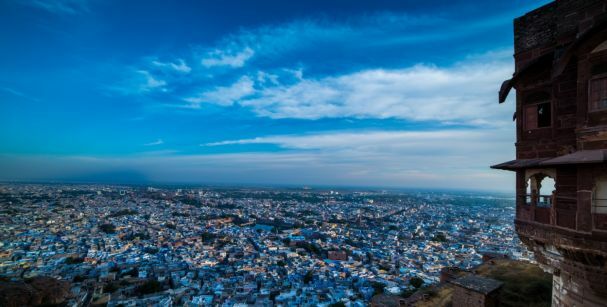 In all those things to explore in Rajasthan, here are top 15 things that will make you feel awesome about your Rajasthan trip and can decide which Places to Visit in Rajasthan. Udaipur is the terrains of many beautiful forts and palace and one must visit the royal times gone by! 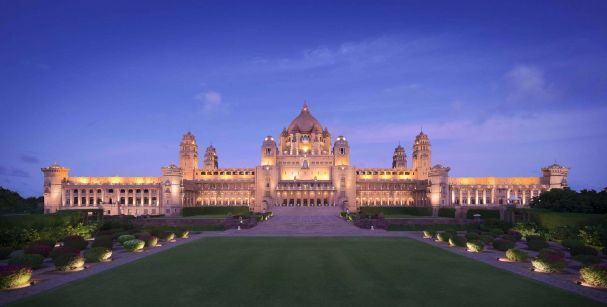 Umaid Bhawan is one of these beautiful forts and also India’s largest private residence. A part of this place has transformed into a heritage hotel which is operated by the Taj group. A stay in this palace may be the bounds for many, but one can take a tour and be awed by the legacy of it. If Jaipur is the pink city of Rajasthan as everybody knows, we will suggest you to go and capture the ‘blues’ of Jodhpur. Most houses are painted in blue which made the great photo-op. It looks the best in the early morning when the sun creates an impressive visual effect. No doubt, it is listed on the Rajasthan Famous Places. One of the most spine-tingling activities, hot-air ballooning is in everybody’s hit list. Well, who don’t want to soar high in the sky and witness the detailing of heritage structure? So, pack your shoes and experience the insight of regal land with wide expansive greeneries. 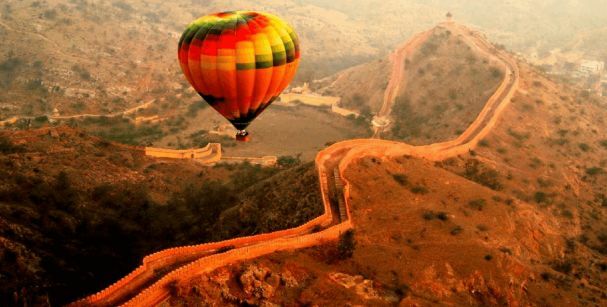 Right now, there are three cities where you can enjoy the hot-air ballooning: Pushkar, Jaipur, and Ranthambore. Rajasthan is famous for its quintessential desserts, so come and enjoy the dessert campaigning. Experience the thrill in starlit sky, lively folk, dances, colorful puppet shows, delicious authentic meals, and cozy beddings. From all the attractions here, Chokhi Dhani needs no introduction; in fact it is the most visited Places in Rajasthan. 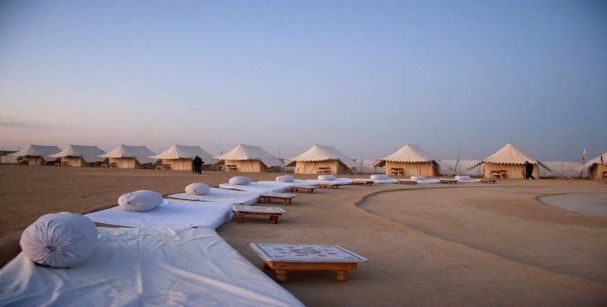 So, experience the real taste of Rajasthan which is absolutely the synonym of royal hospitality. Chokhi Dhani serves authentic Rajasthani cuisine with the royal décor and services. In addition, the cultural folk dances are enthralling to say the least. Best for the car lovers, isn’t it? 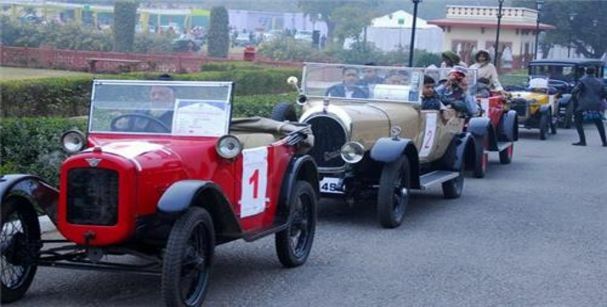 The showcasing of the most luxurious car in this rally is the best view for the car lovers. The beautiful streets are mostly taken by these awe-inspiring machines which are sheer delight for the people. Yes, you heard it right dessert land has the hills and mountains too! It can be tough and tiring in the summers but in the right season and on a slightly windy day, it will be the most terrific experience. Lush greenery of Alwars and enchanting mountains of Mount Abu are the most preferred place for trekkers. A day out with elephant Dera Amer! Why not? Give it a try for once and witness the ultimate rituals of Rajasthan. You can paint the elephant’s trunk with organic paint and also feed them. 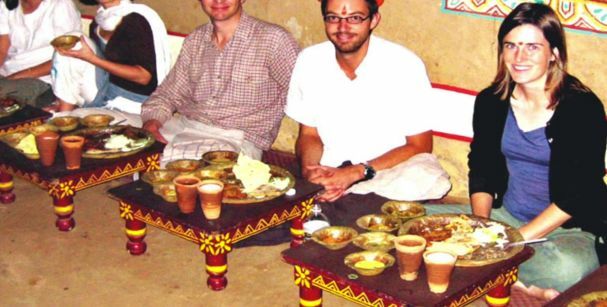 While enjoying in Dera Amer you can simply ignore the authentic delicacies of Rajasthan. If you still are in a mood to do something exciting, then you can also head out for a trek in the nearby forest. 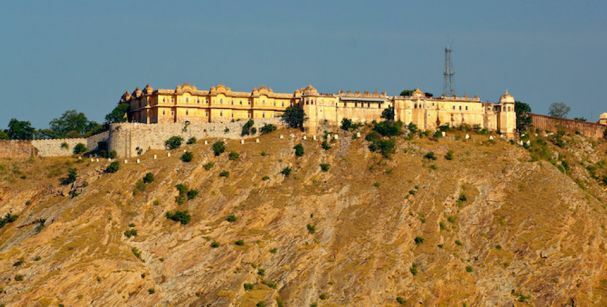 It is one of the most well-preserved Historical Places in Rajasthan; Nahargarh Fort is built on the Aravalli Hills, Nahargarh Fort is the absolute definition of the luxury of royalty. This fort is a magnificent resort too having traditional Rajpur elements still intact. 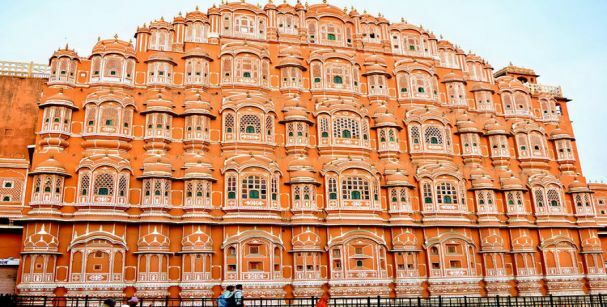 Jaipur, the pink city has comprised of many royal legacies such as Chandra Mahal, Mubarak Mahal and other several buildings belonging to the royal era. And of all these royal creations, Jaipur Palace is the topmost attraction for the tourists which dates back to the time of Maharaja Sawai Jai Singh. It showcases some outstanding piece of architecture which successfully narrates the old times. 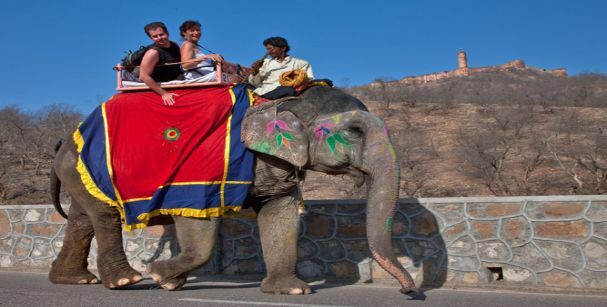 Want to experience the colourful riot of Rajasthan? Then, must participate in the Gnagaur Mela! Right after Holi, the city of Jaipur comes to introduce their rituals to the world by Gangaur Mela. It is the festival which lasts for two weeks and is all about celebrating the culture of the locals. One can sample the delicious cuisines of Rajasthan in this Mela and can enjoy the colourful traditional dances performed by the locals. 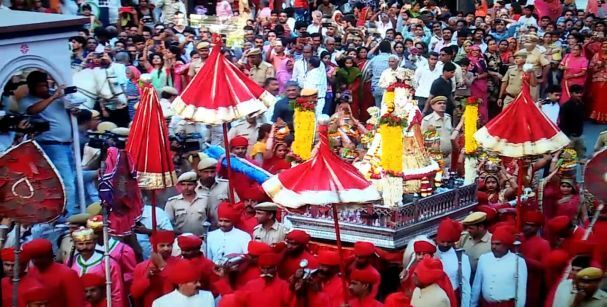 In this festival, unmarried men and women get married only by eloping during the festivals. If you are a bird lover, then the idea of spending time at Bharatpur Bird Sanctuary will definitely excite you. 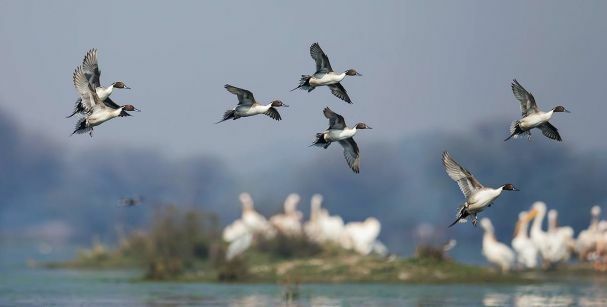 It is now called as Keoladeo National Park, having more than 200 spices of different birds. The calm and peace and many more things to offer, this park looks best when visited in winter months when several migratory birds flock to the reserve. 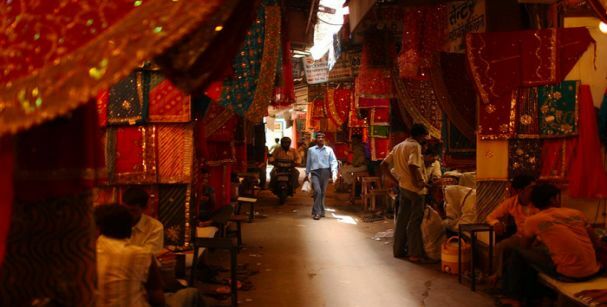 Apart from many historical monuments Rajasthan have, Johri Bazaar is the one which definitely being every girl’s attraction for shopping. This market is renowned for its several authentic gold and silver jewellery shops. Take a tour of the market and get your hands on some exquisite jewellery here. 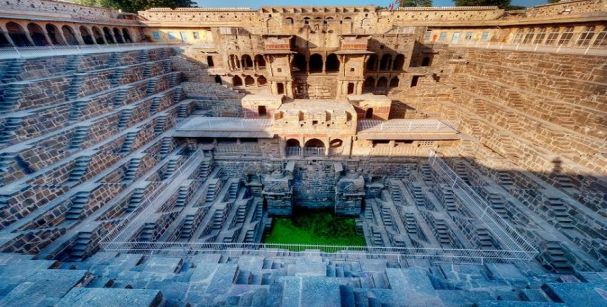 The most obvious thing about this place is that it usually not mentioned in any tour guides or among the famous Rajasthan Tourists Places but it deserves a visit for sure. It is located close to the city of Jaipur, the Abharneri Step Wall is a water reservoir dating back to 9th century AD. There is a small temple too closely with its magical setting walls. A stay here means to live the life of the royal class! 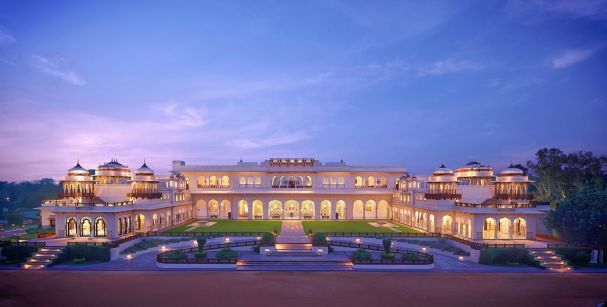 Rambagh Palace is absolute example luxury which is owned by the Taj group. The palace has been several high-profile guests over the years including film actors, sportsman and many more. So, staying here will be absolutely delightful if your pocket allows though.